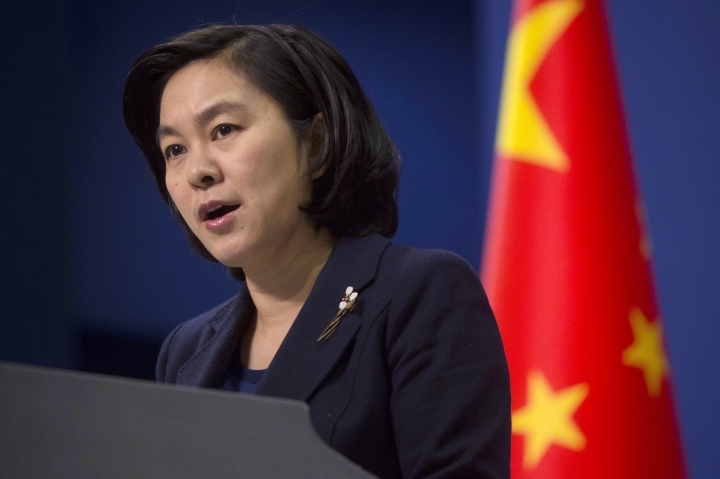 BEIJING — Taiwan on Wednesday condemned the African island nation of Sao Tome and Principe's "abrupt" move to break their diplomatic ties, while rival China welcomed the defection of one of the self-governing island's small number of allies. Just 21 countries and governments now have official ties with Taiwan. Most of the world and the United Nations do not formally recognize the island as a condition of maintaining relations with China, which considers Taiwan a part of its territory. Beijing and Taipei have competed for allies for much of the nearly seven decades since the end of China's civil war in 1949, when the defeated Nationalist government fled across the Taiwan Strait. As its economic, military and political clout has grown, China has become more successful in pulling away governments in a bid to diplomatically isolate Taiwan, though some countries, including the United States, maintain strong unofficial ties with Taipei. Taiwanese Foreign Minister David Lee accused Sao Tome of demanding "an astronomical amount of financial help," though he did not say how much. A Taiwanese foreign ministry statement said Sao Tome had been trying to "gain a higher price by lingering on both sides of the strait." Taiwan "regrets the Sao Tome and Principe government's abrupt and unfriendly decision, and condemns this action," the statement said. China's foreign ministry said in a statement Wednesday that it welcomed the decision to "break the so-called 'diplomatic' ties with Taiwan." China did not say whether it would resume its own diplomatic relationship with Sao Tome, though the Portuguese news agency Lusa reported that Sao Tome would seek to recognize China. Beijing suspended its relationship with Sao Tome in 1997 after the island nation established diplomatic ties with Taiwan. According to Lusa, Sao Tome's government issued a statement saying its officials faced the "increasingly fierce defense of national interests" by other countries. The government also cited Sao Tome's "transformation agenda and millennium development goals" in making the decision to break with Taiwan. A spokeswoman for the Chinese foreign ministry, Hua Chunying, would not say Wednesday whether China made a financial commitment to Sao Tome. But Hua said China would consider "friendly and cooperative" relationships with other countries based on its "one-China policy." "There is only one China in the world," Hua said. She added, "By cutting ties with Taiwan, Sao Tome and Principe is showing its recognition to the one-China principle." Taiwan's remaining diplomatic allies are mostly in Latin America and the Caribbean, as well as several Pacific island nations and the Holy See. Just two African nations remain on Taipei's side: Burkina Faso and Swaziland. One former African ally, Gambia, broke with Taiwan in 2013 and established formal ties with China this year. Longtime observers of China predicted that Beijing might redouble its efforts to pull away Taiwan's allies after a Dec. 2 phone call between Taiwanese President Tsai Ing-wen and President-elect Donald Trump, the first time an American president or president-elect had publicly spoken to a Taiwanese leader since the U.S. ended its formal relationship with Taiwan in 1979. The call infuriated China, which accused Tsai's government of playing a "trick" and later warned Trump about challenging Beijing on the issue of Taiwan. China's foreign ministry did not mention the call in its Wednesday statement. Associated Press news researcher Liu Zheng contributed to this report.